High-quality local sports coverage isn’t dead. At least that’s the premise upon which The Athletic is building its business. The young startup, part of Y Combinator’s Summer 2016 class, is trying to reinvent local sports media – an industry that has been on the decline ever since newspapers realized that advertising revenue wouldn’t be enough to support a team of writers to cover local sports teams. So when regional newspapers began to cut costs the sports desk was often the first to go – especially since national brands like ESPN were already offering similar content. But The Athletic thinks that there is still demand for truly local content, written by sportswriters that live and breathe local teams. And, the startup thinks that if this content is good enough, readers will happily pay for it. So far, it’s worked. 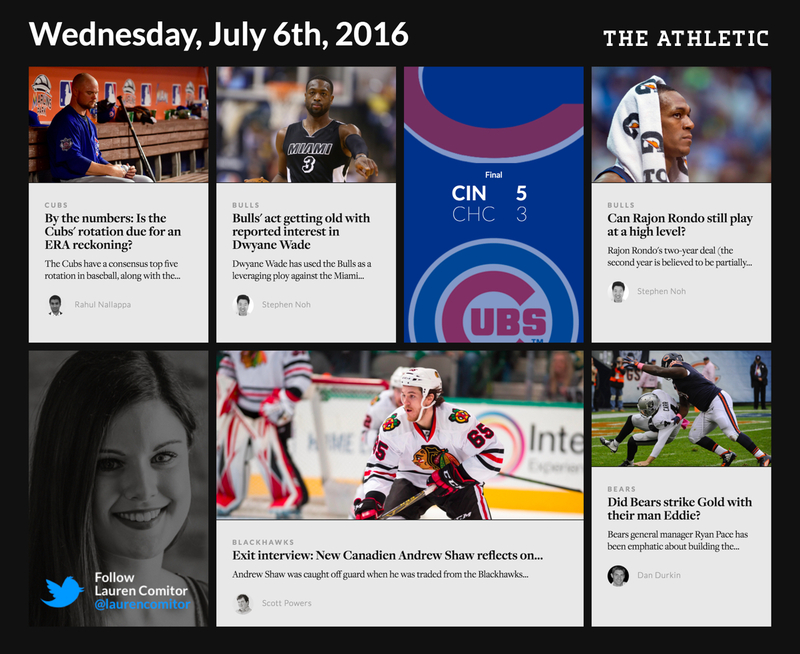 The athletic launched 6 months ago in Chicago – they hired the top sportswriters in the city on a full-time basis, and have them write a total of five to ten quality pieces of content a day. The startup is credentialed by all five sports teams in the city, and mixes in traditional sports reporting with inside access and exclusives from team executives and agents of the hottest players. The Athletic currently charges $10 a month (or $5 if you pay for a year upfront), and is seeing great engagement from subscribers. Alex Mather, co-founder of the company, said that 80% of readers view every article that is produced, and subscribers are spending an average of 90 minutes a week reading content on the site – pretty good for a publication that only launched five months ago. Another aspect that differentiates The Athletic from traditional sports media is a platform that is actually enjoyable to read from. The startup prides itself on offering pages that “don’t take 30 seconds to load”, and having an interface that puts most newspaper’s websites to shame. Once it nails down Chicago and raises funding for expansion, The Athletic wants to grow into other large sports cities, eventually having a presence in every major sports market in the U.S. And, when it’s large enough, eventually expand beyond writing into things like video and podcasts so it can become a premium sports media brand spanning all mediums. Any site that charges for content on a subscription basis is making a big bet that users will consistently be willing to pay for quality content. And while companies like Netflix (and originally HBO) have shown that users will open their wallets for truly great content, this hasn’t held up as much in the traditional written news industry.Because while Netflix is the only place you can watch House of Cards, hundreds of different sites will all tell you the same story about how Kevin Durant is now on the Warriors. But if The Athletic can find an audience of die-hard sports fans that truly value strong local analysis and reporting, they may just have a shot at succeeding where larger publishers before them failed.